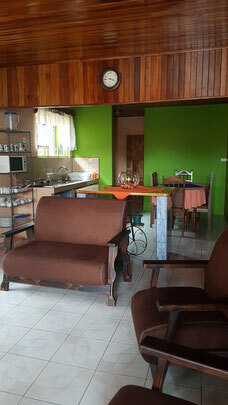 Arenal Ixora is a cozy house located in a quiet neighborhood 500 meters away from La Fortuna Downtown, where you will find the heart of the town surrounded by cafeterias, restaurant, supermarkets and gift shops. 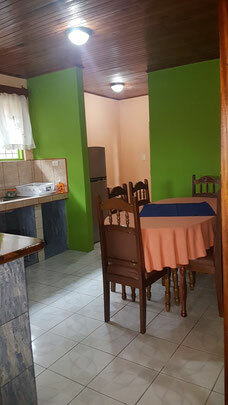 The house is fully equipied, with everything you need to prepare a nice breakfast, lunch or dinner. 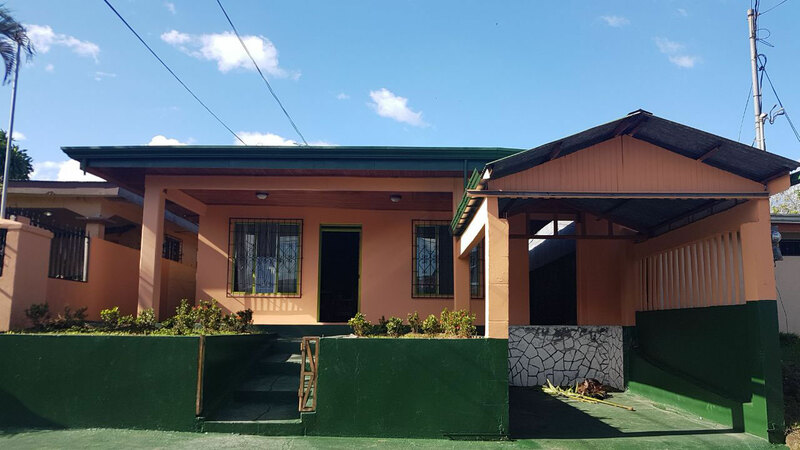 The house has 3 rooms and 1 bathroom, with the capacity for 8 people. 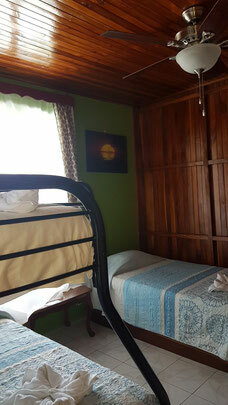 If you have your own transport it can move easily to the different tourist attractions like Baldí Hot Springs, Tabacón Thermal Resort, La Fortuna Ecothermal, Mystic Park, Arenal Volcano National Park, La Fortuna Waterfall River among others and activities like Canopy, ATV, canyoneering, rafting. 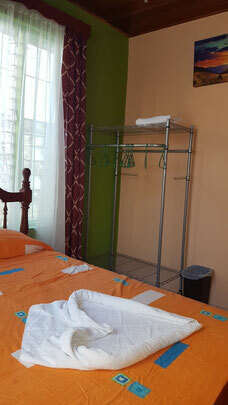 1 room with triple cabin and individual bed. Capacity of 4 people. 1 room with double bed for 2 people. 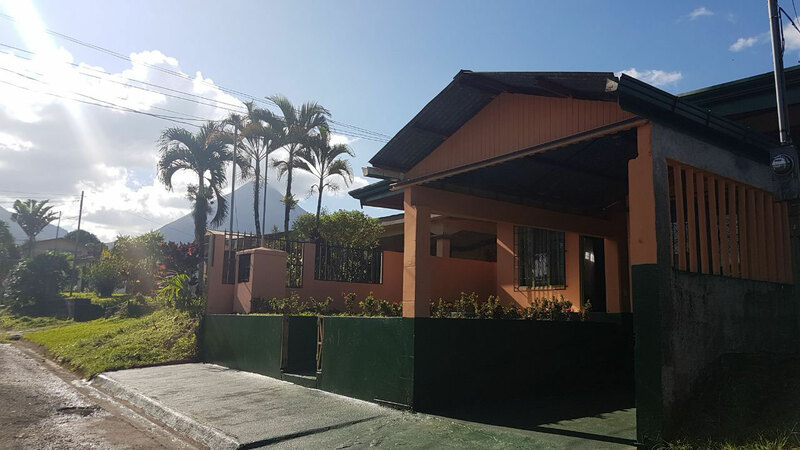 Arenal Ixora house its located in La Fortuna town, at a short distance of the basic services like supermarkets, Catholic Church, Restaurants, Pharmacies. 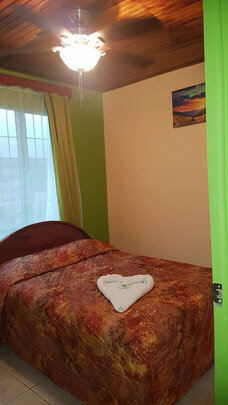 All the main attractions are within less than 15 minutes of the house. 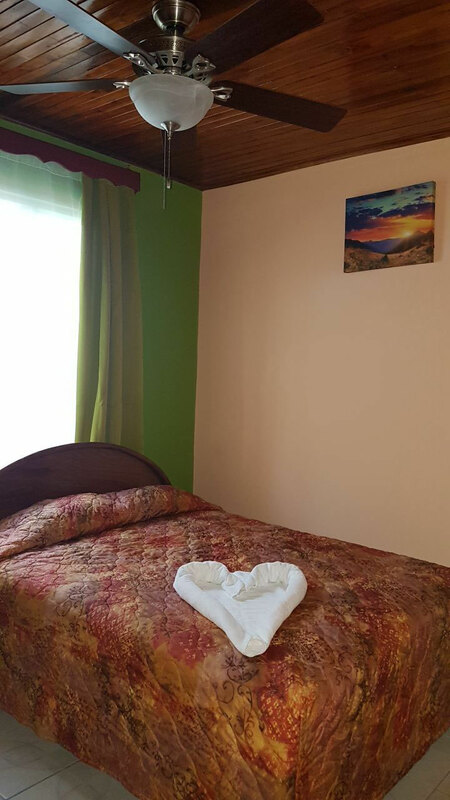 Fill out the following form if you wish to reserve or need more information about Vacation House Arenal Ixora.